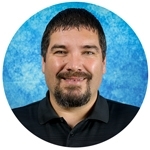 Dan has been with Innovative Projects since 2002 and serves as our Multimedia Technology Specialist. He has developed many of our websites including this one. He also manages the Michigan Preschool website which is used as a GSRP and Head Start collaborative enrollment tool for several service areas in Michigan.